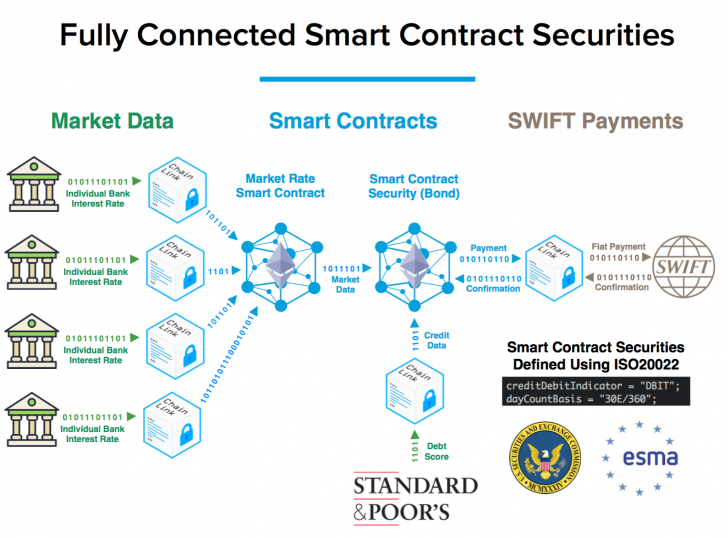 Blockchain startup SmartContract is officially unveiling a new a proof-of-concept (PoC) built with assistance from five major financial institutions today at Swift’s Sibos conference. Designed to show how smart contracts could simplify the buying, selling and payment of dividends from bonds, the project makes notable use of interest rate data from Barclays, BNP Paribas, Fidelity, Societe Generale and Santander. The news is also a notable step forward for the smart contract concept, implementations of which have typically lacked the reliable and sophisticated data sources needed to make their innovations a reality. Still, in conversation with CoinDesk, SmartContract.com CEO Sergey Nazarov positioned the PoC as a way for Swift and other incumbents to prepare for what he believes will be a coming proliferation of smart contract-powered stocks and bonds. And that user experience relies on the integration of widely trusted data into blockchains. For instance, with that kind of data, Nazarov said he was able to streamline the time- and cost-intensive back-office processes normally required in paying out dividends. The demo can also be seen as the fruition of a whirlwind year for the startup, which won $100,000 at Sibos last year during the conference’s startup challenge. Since then, SmartContract.com – a middleware company designed to connect traditional data sources to a blockchain – has successfully completed a $32 million initial coin offering (ICO) and entered into a partnership with IC3 to use its Town Crier oracle. For the PoC, SmartContract’s oracle was used to move interest rates from each of the five participating financial institutions into what the startup called its Market Rate Smart Contract. That contract aggregated the data into a single rate that was then used in a virtual representation of a $1 million smart contact bond. An on-chain payment transaction was then translated into a Swift payment message. 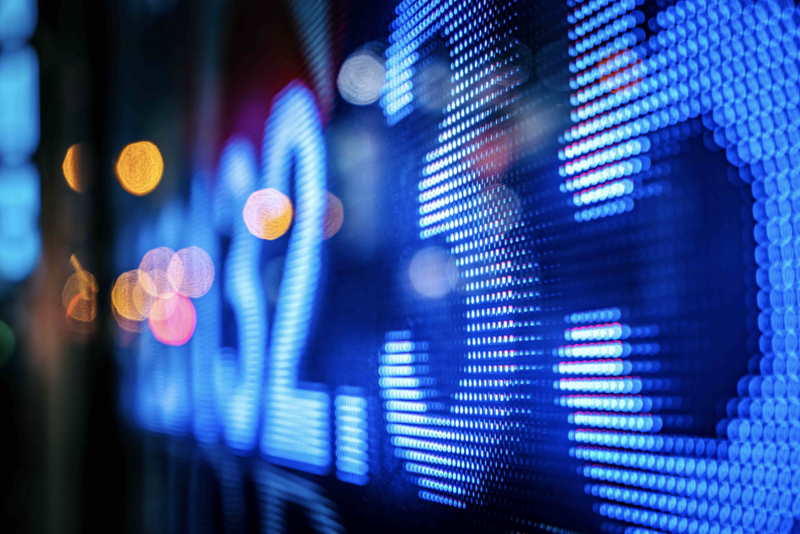 To be able to send that translate the transaction into one Swift could handle, the startup built its platform to comply with Swift’s ISO 20022 standard for electronic data interchange between financial institutions. According to Nazarov, that was done specifically to allow Swift members utilizing SmartContract’s platform to be able to make payments with the smart contracts as well. And SmartContract.com wants to be that connection. SmartContract has plans to use another oracle to pull data from credit ratings agencies like Standard & Poor. In this way, banks connected to the platform could better weigh their investments. It sounds like a good idea, but even with his successes Nazarov is cautious about the short-term prospects of the company, describing a chicken-and-egg scenario he sees possibly holding the technology back. While coders are interested in smart contracts, he believes they need more reliable data to continue developing their products. Data providers, too, are waiting for smart contract tools to be demanded before going through the integration process. Although, as Damien Vanderveken, the head of Swift’s R&D department, told CoinDesk, working with the ISO 20022 standard could be the push needed to get one, or both, of those stakeholders to move.